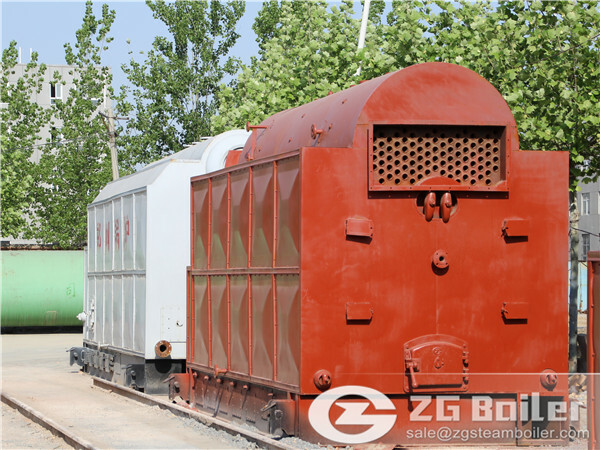 Coal fired steam boiler, adopting the membrane water-cooled wall system and water cooled system, is a solely developed machine in ZG which absorbs all the previous advantages. It applies the water-cooled arch system and membrane water-cooled technology to shop-assemble water tube boiler, which is the initial technology in our country. This water tube type chain grate boiler has high efficiency ,strong overload capacity and is available for a wide range of coal. It is also honored as the best design in boiler industry.Combustion of Boiler fuel molding can be pure coal or mixed coal and biomass fuel molding to provide power generation or heat. 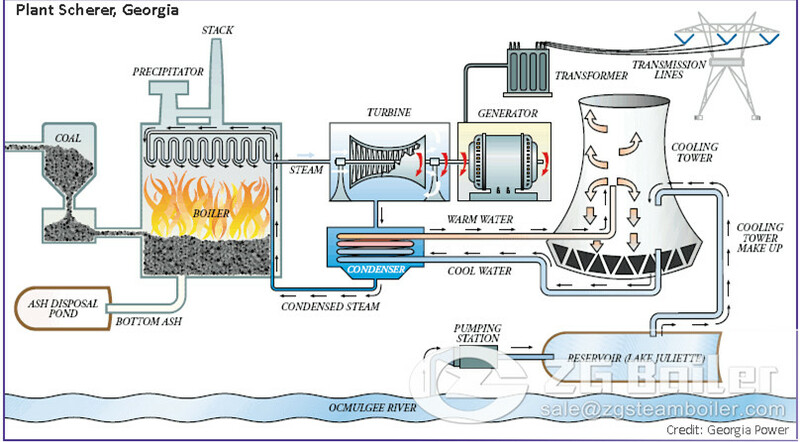 So it is important for us to know how do coal fired steam boilers work. Before the coal is burned, it is pulverized to the fineness of talcum powder. It is then mixed with hot air and blown into the firebox of the boiler. Burning in suspension, the coal/air mixture provides the most complete combustion and maximum heat possible. Highly purified water, pumped through pipes inside the boiler, is turned into steam by the heat. The steam reaches temperatures of up to 1,000 degrees Fahrenheit and pressures up to 3,500 pounds per square inch, and is piped to the turbine. The enormous pressure of the steam pushing against a series of giant turbine blades turns the turbine shaft. The turbine shaft is connected to the shaft of the generator, where magnets spin within wire coils to produce electricity. After doing its work in the turbine, the steam is drawn into a condenser, a large chamber in the basement of the power plant. In this important step, millions of gallons of cool water from a nearby source (such as a river or lake) are pumped through a network of tubes running through the condenser. The cool water in the tubes converts the steam back into water that can be used over and over again in the plant. The cooling water is returned to its source without any contamination, and the steam water is returned to the boiler to repeat the cycle.